DO you leave your self-care to the end of the list? Do you put others well being ahead of your own? Do you acknowledge that everything needs a check-up? A tune-up or a re-boot? Everything but YOU? We all function better when we take time to reconnect with ourselves and recharge our batteries. Join me, Darlene Turriff, Mindset Mentor and Spiritual Coach for a weekend of rejuvenation. I have participated and lead countless retreats and the results are always the same. ENERGIZING! I am known for my motivational style and although I have my workshops planned out, I feel strongly in allowing the needs of the group to dictate the next discussion. I come with a wealth of knowledge and experience, I will guide your self-care weekend in the exact direction for you. By keeping the group small, my agenda is YOUR agenda. We all know the experience of vacation, before we even get home, we have already lost the feeling. We know we are going back to everything we wanted to escape. I would almost say the best part of vacation is the anticipation of escaping our lives. WHAT IF, for 48 hours you escaped BUT when you came back you were excited and motivated about your life again? This is what a retreat can do. You not only have a well deserved SELF-CARE weekend, you come back refreshed and excited. If you think you are ready for that kind of re-boot, grab a friend and join me in Arnprior. Arnprior, is a small little town in the Ottawa valley. I previously lived in this wonderful community. There are quaint little shops and a peaceful town atmosphere. The retreat centre itself, is on the shores of the Ottawa River. Nearby is a wonderful park and beach. We will be there just in time for warm sunny days and the beauty of spring. Communities promote dramatic healing and change. Retreats can be opportunities for amazing shifts in energy and the launching of powerful change. Time and time again, I have witnessed dramatic shifts during live retreats. I myself, have noticed that what I struggled with on my own for years was easily accomplished thanks to the proactive support, real time work, and priceless connections made with other spiritual seekers during live retreats. Join me, Darlene Turriff, Mindset Mentor and Spiritual Coach for an intimate weekend retreat where I will share with you how having the right question is more important than having the right answer. Experience the transformational change that live retreats offer. 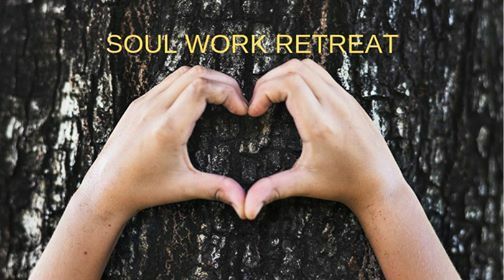 This is a Soul work retreat that will leave you feeling recharged and reconnected. We will look at the deeper meaning to why this is happening right now? As in all things, what you put into it will determine what you get out. There will be workshops, there will be a silent portion (from 10pm Friday night to 10am Saturday morning), there will be celebration (please feel free to bring a special snack for Saturday evening and a special beverage) and there will be free time. We will be working in small groups and in our larger group. There will be both alone time and learning time. There will be time to process and time to absorb. I will be referring to a variety of spiritual principles and practices during the workshops and I use the body-mind-spirit connection in all teachings. This is non-denominational but we will be meeting in a Christian Retreat Centre. ALL ARE WELCOME. There will be amazing sisterhood and an opportunity to create some new friendships with like minded people. 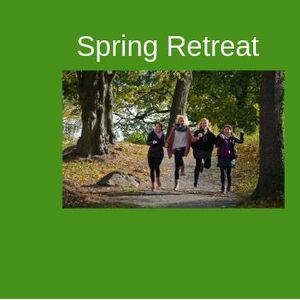 If you are interested, please contact me: Darlene Turriff, Mindset Mentor and Spiritual Coach to receive a copy of the registration form and terms and conditions of the retreat.